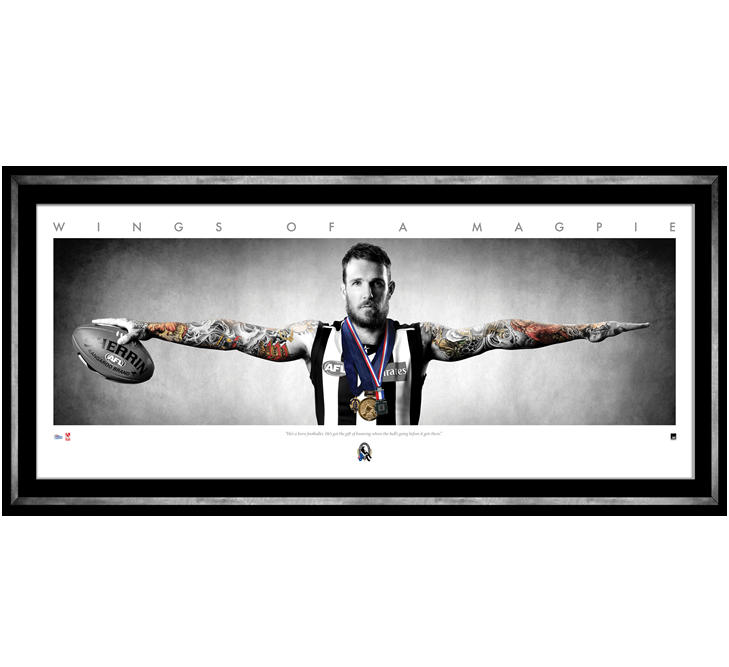 Take home a piece of magpie history that is exclusive to you and available at the event. 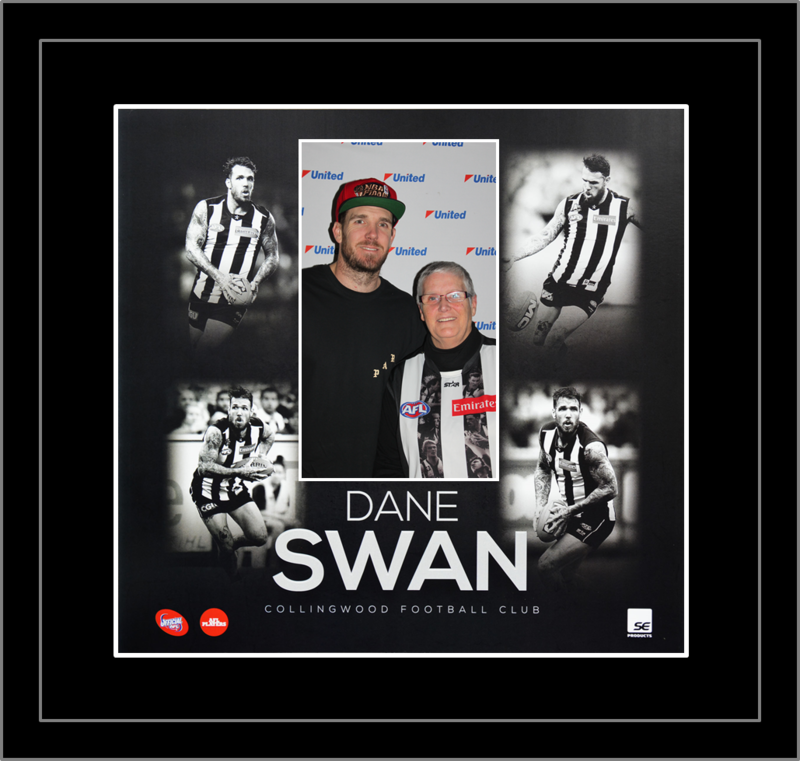 Personally signed by Dane Swan at the event and presented in a deluxe black timber frame. Officially licensed by the Australian Football League and authenticated by the AFL Players’ Association. Manufactured under license by SE Products. Between 12.00 – 1.00pm, Black and White supporters can grab a moment with the 2010 premiership player and 2011 Brownlow medallist during a special “signing & selfie” opportunity limited to those purchasing either of the items listed *1 photo & 1 signing per person with item with receipt. Approximate framed dimensions of 950 x 550mm. Signatures Sports is the market leader in local sports entertainment. We organise specialised sporting events offering a turn-key solution. © Copyright Signature Sports. All Rights Reserved.